I love this columnist! Not that it would mean I agree with everything she says or chooses as topic, I still admire her bold wordings, choices and obvious frankness. 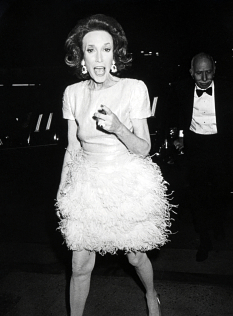 Check this out: Lucy Kellaway on Helen Gurley Brown – the late Cosmo girl. “I have long suspected that being neurotic is useful – even if tiresome for everyone else. The best way to be good is to fear that you are useless”, writes Lucy. Although I think it’s not the solution for me, Pussycat does have an interesting ring to it. It sounds quite personal! Nice touch. It is a comforting idea to me that I am not the only one with that particular trait (name-forgetfullness). And most often you simply find people writing about correct this fault instead of laughing about it. Sometimes it’s better to just recognize you have an issue and live with it. she [Gurley Brown] once said.